Crankshaft pulley bolt socket – Honda No.07JAA-001020A. Crankshaft pulley holding tool – Honda No.070AB-RJA0100. Crankshaft pulley holding tool handle – Honda No.07JAB-001020B. Align coloured chain link with timing mark on crankshaft sprocket  . Align coloured chain links with timing mark on camshaft sprocket  . Tighten crankshaft pulley bolt  . Tightening torque: 37 Nm + 90°. 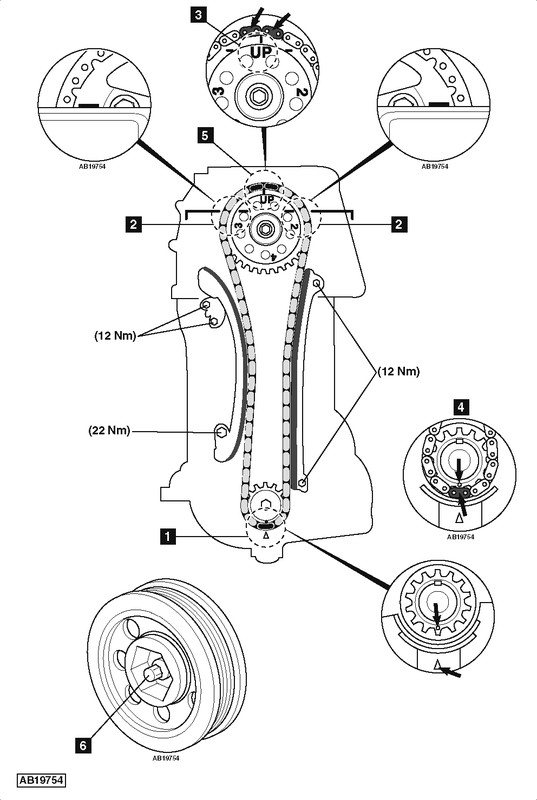 NOTE: If crankshaft or crankshaft pulley bolt replaced: Tighten crankshaft pulley bolt to 177 Nm then fully slacken.